Treat your special someone to dance lessons and in NEW dance shoes! Item must be used between Feb 14 – Aug 31, 2019. All voucher items must be redeemed at the same time. 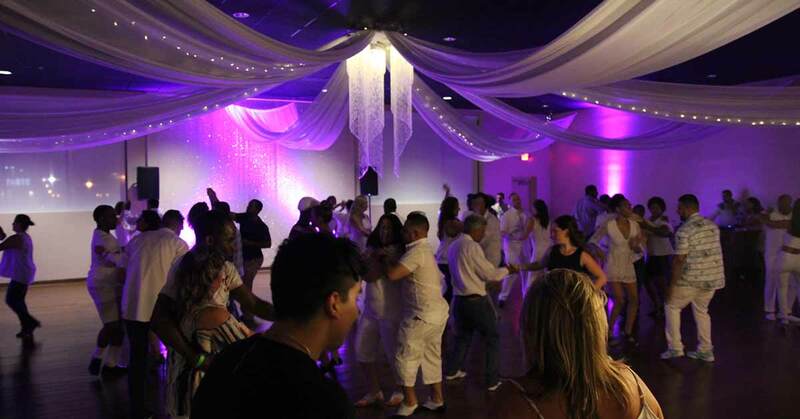 A night of dinner and dancing at the Mambo Room Friday night social! 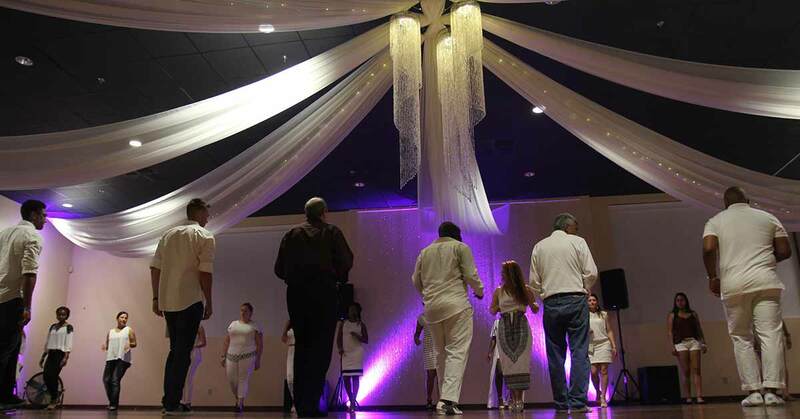 Enjoy one of our delicious dishes, a dance lesson and then dance the night away. (May be used for any regular dance party social. Not valid for special events). A romantic candlelit dinner tucked away in a room reserved for just the two of you. 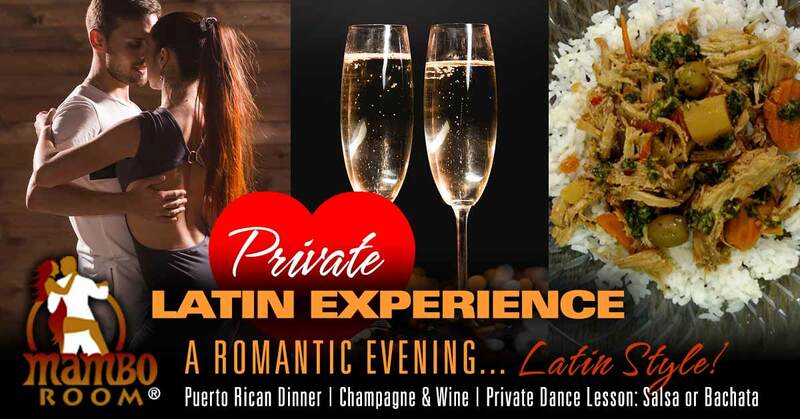 Enjoy a delicious Latin meal with champagne or wine. Then have a private lesson with an instructor of your choice to learn Salsa, Bachata or Kizomba… just you and the instructor. Can be used for a progressive series, crash course, workshops, drop-in dance classes or fitness classes. CHOOSE YOUR OWN AMOUNT – $?? 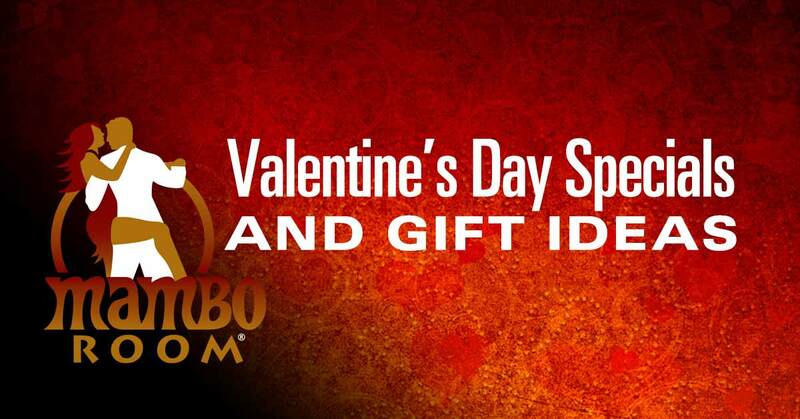 Give a gift certificate to that special someone for any amount of your choice. * Regular priced gift cards do not expire. VALENTINES PACKAGES/VOUCHERS MUST BE USED BETWEEN Feb 14, 2019 – August 31, 2019. If voucher has not been redeemed by Aug 31, 2019 then the actual purchase amount of the voucher may be used and does not expire. Partial used packages may not be redeemed for credit. May not be redeemed for cash or returned. All package items must be redeemed at same time. Vouchers for shoes may not be combined in one purchase.